Youth struggling with addiction face a unique challenge when it comes to getting clean. Addiction is a disease that can change the way someone thinks and behaves. These changes run deep, and are fueled by both chemical dependency and bad habits that are hard to break. Adults who are struggling with addiction are often able to look back at a time when addiction did not rule their lives. This can give them motivation to get back to that place, or at the very least, it reminds them that it was possible to live sober. Teens and young adults, on the other hand, don’t have that benefit. Really, they have not yet had any adult habits or routine free from the effects of addiction. What are the root causes of addiction in teens and young people? Much of the dialogue around youth and addiction is flat-out wrong. The ugly truth is, teens start doing drugs for the same reasons adults do. Kids, just like adults, are seeking a reprieve from crushing anxiety or numbing depression or a strong desire to fit in. Youth are not armored against the stresses of life, like painful relationships, loss, and fear of rejection. In 2015, the New York Times wrote an article exploring reasons that teens began doing drugs, and what these addicted youths say might have convinced them to stop early or not try drugs in the first place. David Sheff, who authored “Beautiful Boy,” the story of his son’s addiction, and “Clean,” about treating and preventing drug addiction, noticed that a common factor in youth drug abuse was self-medication. In many ways, this phenomenon hits young men the hardest, as men are less likely to seek treatment for mental health issues that are the root cause of their drug abuse, and also men in general are more likely than women to use illegal drugs. There ARE solutions for teens and young adults who have stumbled down this path though. Detox and a support group may not be enough to get them out of the hole that is drug dependency, as their habits under the influence are the only habits they’ve had so far in their adult life. This is one reason why Alternative Peer Groups, or APGs, can be so beneficial. Comprehensive rehabilitation facilities recommend CBT, cognitive behavioral therapy, as a primary treatment method for many of patients, especially those who are young. CBT has a strong focus on coping mechanisms to work into your day-to-day routine. Dealing with your problems as they come along. Ignoring them or “stuffing” your feelings is unhealthy, and can often result in depression and relapse. Keeping stress levels low by incorporating hobbies, recreation, physical fitness, and positive people into your life. Planning ahead for difficult and unavoidable situations. Building and maintaining a core group of positive, supportive people who will help you stay sober. This therapy method also works to identify unhealthy thoughts as they come up, what triggers them, and how to ease them in a positive way, rather than turning to drugs. CBT is a good resource for anyone with an addiction, but it is especially useful for those who need help learning better mood regulation. Teens and youngs adults fit squarely into that category of need. Mood swings and hormonal issues can compound other problems like anxiety and depression that impair a young person’s judgment and drive them to drug abuse. Drug use relapse is common, almost expected, and usually happens within the first 6 months of recovery. Returning to “normal life” after detoxing or inpatient treatment is always fraught with triggers, be they old influences, or just a return to the stressful environment that originally motivated the drug use. Many adults do their best to make a fresh start by changing their environment as much as possible. They move if they can, they try a new job, or at least avoid places they’d been hanging out before. Teens and young adults usually have less power to make these changes in their lives. Even if moving is an option (which is out of the question for most teens), young men are less likely to have the savings required to make major life changes. Parents also often have to re-evaluate their relationships with their children after they come home. Some may feel the need to clamp down on their kids’ whereabouts and activities in ways they never did before, or conversely, other parents will worry that they were putting too much pressure on their teens before. Parents have an even closer role than usual in supporting sobriety and preventing relapse for youth in recovery. What can we do to help young men avoid relapse? General relapse prevention tips, of course, still apply to young men. Continued cognitive behavioral therapy, keeping busy, and avoiding previous triggers can help. Avoiding the crowd that a young man did drugs with is important, but it can sometimes lead to near-total social isolation. Social isolation can be a huge relapse trigger. Finding a support group of sober people is of paramount importance. This is another reason to try to find an APG in your area. Parents and family can also play a pivotal role by helping the young man in their life plan ahead for difficult situations. For example, if a teen used to buy their drugs on the school bus, relatives can step in and drive him to school. Young people have only just begun to figure out their routine, and logistical help from adults with resources and experience might make or break a recovery. As you can see, there is no simple solution. Finding recovery as a teen is fraught with a host of challenges. A variety of support strategies tailored to an individual teen’s needs, plus integrated care from important people and professionals in the teen’s life are the key to not just obtaining, but also maintaining successful recovery. Derek Wilksen is the Vice President of Serenity Lodge – Lake Arrowhead, a men’s addiction treatment and rehabilitation center in California. He has applied his passion to excellent clinical care for over two decades. ©2019 Our Young Addicts All Rights Reserved. Imagine a blizzard. Icy-cold temps. Blustery wind gusts. Slow-go traffic. Slippery roads. Now add in the emotional toll of white-knuckle driving with your a 21-year-old kid on the way to an in-patient treatment program. He needed to check in by 9 a.m., so we had to leave extra early to make it through rush-hour traffic complicated with winter weather. What normally would have been about a 45 to 60 minute drive was double that. Let me say, it was a long drive for many reasons. “Best day of my life,” by a group called American Authors. Indeed, it was a good day and one our family had been hoping, praying and waiting for as we loved our son through addiction. Now, whenever that song comes on the radio, I remember the trek to treatment – not just that December morning, but the years that led up to it and the relapse that followed. In spite of that, however, it was our son’s first successful completion of a program and it laid the foundation for his future recovery. For all the parents and treatment pros out there, it strikes me as important to recognize that each day is an opportunity forward, an opportunity to have the best day of my life even though the path may be long and difficult. Minnesota is the land of 10,000 lakes, and some would say, the land of 10,000 substance abuse treatment centers. The actual number of treatment centers is actually more like 500. Regardless, Minnesota put addiction treatment on the map by developing the very first formal treatment approach for alcoholism and other substance use disorders. It’s called The Minnesota Model and has been replicated across the world and has helped millions of people. The 12-step philosophy of AA and NA is an integral component of the Minnesota Model. As a psychologist working primarily in the area of addiction, I often hear 12-step programs pitted against evidence based treatments such as Cognitive Behavioral Therapy (CBT). It’s as if as a clinician, I have to somehow choose a side, and then stick to it. It’s 12-steps or CBT. At this point in my career, I’ve grown weary of the word or. In CBT the tendency to think in either/or terms is called “black and white” or “dichotomous” thinking. This can lead to a lot of mental and emotional suffering. Modern American society is full of examples of headline-driven questions that make us feel forced to chose a side: do guns kill or do people kill? Are you a Republican or Democrat? We get put in an either/or dilemma. Most rational and reasonable people would likely concede that when trying to understand a phenomenon, it’s best to take an approach that can account for multiple variables and potential influences. However, we as humans seem to have a natural tendency or desire to align ourselves with a particular side or “camp”. In the field of psychology, our camps are based on different theories of the mind and human behavior. Theories are useful and necessary, and serve as a framework for trying to understand these things. However, holding onto a particular theory too tightly can sometimes cause us to miss the forest for the trees. The field of psychology has also at times fallen victim to dichotomous thinking when trying to understand the origins and treatment of human suffering. This has led to questions such as: is it nature or nurture? is early attachment or temperament more important? Are mental health problems best described in categories of symptoms or better understood on a continuum? Is it the technique or the skill level of the clinician that produces change? The list goes on and on. Intuitively we know the answer is probably somewhere in the middle, but we still feel pressure to cling to one particular camp. During graduate school I felt pressure, mostly from myself, to come up with my own unique theory of human behavior and treating mental health disorders. And I thought I had it figured out by the end of my training. Now over a decade into my career, I’m realizing that I know much less now than I did back then. My theory is much less clear. And I think that’s a good thing. I now teach at the school I graduated from. For one of the courses I teach, Counseling and Personality Theories, I intentionally start the semester off by discussing some of the existing research that indicates the theoretical principle you pick makes less difference than other variables such as the therapeutic relationship and client factors.This forces students to sit with the frustration of not having a simple, clear answer, and to instead appreciate the complexity of human behavior and the process of change. Addiction, and in particular the behaviors that arise from addictions, are among the most complex and confusing of all human phenomenon. Is addiction a chronic, progressive disease that requires intervention or do most people get better on their own, without treatment? Is complete abstinence necessary for full recovery or can people live a quality life while still using substances? Should family members detach and protect themselves as not to enable the addiction, or can they influence the behavior of their addicted loved one? Do you need a personal history of struggling with addiction to be able to understand and treat it, or do you need a high degree of training and professional licensure? We have some big questions facing the addiction field and how we are going to evolve our understanding, prevention and treatment of addiction. Perhaps the least helpful response to this profound conundrum would be to fall back into black and white thinking and look for simple answers and then divide into camps. In many ways there is still a lot we don’t understand about addiction. Most experts can’t even agree on a shared definition of addiction. And there are many, many different pathways to addiction. One of the greatest advances in behavior therapy over the last several decades has been Dialectical Behavior Therapy (DBT). Created by Marsha Linehan and now disseminated and used all over the world, DBT has been shown to be effective for a variety of difficult to treat conditions. The philosophy of the approach is based largely on the idea of a “dialectic”, which assumes everything has its contradictions or opposing forces. In essence it involves the art of holding two opposing ideas in mind; specifically with DBT, balancing change with acceptance. Approaches like DBT have taught us the importance of balance, and the power of the word and. The ultimate dialectic in addiction treatment may be that you need to treat the addiction as a primary disorder and the underlying factors that drive it to keep going. When we can’t prevent it, people suffering from addiction deserve the best possible treatment we have available. And we will only arrive at the most effective treatments by bringing everyone together from all the various camps and disciplines. It may be time to take a step back from what we think we know about addiction, and come together to better understand it. We will need to have some difficult conversations and we will need to bring people together who have very different ideas about addiction and how to treat it. Going through this process will be a good thing for the addiction field, but more importantly, for the individuals and families at risk for, or currently struggling with addiction. We owe it to future generations to put in this difficult, messy work, so we can come out with something even better. Then, from our combined efforts, we can build a truly integrated treatment approach and we can call it The Minnesota Model 2.0. 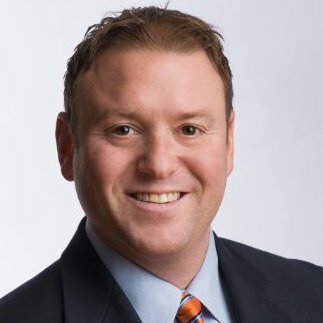 Dr. Jason Reed is an Addiction Psychologist, Adjunct Professor and founder of the Minnesota Integrative Treatment and Recovery Enterprise (MinCARE). MinCARE is a consulting, training and advocacy organization committed to improving the quality of care and outcomes for all individuals struggling with addiction and co-occurring disorders in the state of Minnesota. In spring 2012, Midwestern Mama’s son was not using, but he wasn’t exactly embracing treatment, sobriety or recovery. Here is a column where she explores the concerning pattern, which repeated itself many times through many relapses. Fortunately, in 2014 and continuing forward, my son has embraced sobriety and recovery in a much more encouraging way. We have transitioned from hope to belief! I have a confession to make: I watch Dr. Phil, pretty much on a daily basis. I know, I know…but I like to watch a good train wreck to wind down my day and this show never fails to disappoint. While there have been some truly cringe worthy episodes that make you wonder why they would even put them on the air, there have also been some good episodes so things tend to balance out. The Dr. Phil show likes to specialize in shows that deal with family dysfunction: whether that be from divorce, parent-child issues, or its favorite topic – addiction. Now let me start by saying that I think Dr. Phil’s heart is in the right place when he takes on these topics, but I don’t always agree with his methods especially when it comes to dealing with the family members of addicts. A typical addiction episode of the Dr. Phil show usually involves the family member or friend of the addict reaching out to Dr. Phil for help in dealing with the addict. They usually have tried every option (so they say) and are reaching out to him as their last hope for their loved one. The family member(s) will usually come out first, tell their story and then the addict will be brought on stage to tell their story. Once both parties are on stage, it doesn’t tend to go well and lots of arguing and yelling ensue. Now Dr. Phil can step in and shut this down immediately and facilitate a calm, rationale conversation but that wouldn’t make for good television, so he tends to let them go at it for a while before he cuts to commercial. Once back from commercial, Dr. Phil will talk with the addict to dig into the story a little deeper and try to find out how and why they got started using. More yelling and name calling is done, and Dr. Phil usually turns to the family member(s) and starts to go in on them, and the blame game begins. As the sibling and spouse of former addicts, I take great offense to this and usually get so angry watching him insult, patronize, and downright shame the family, that I have to change the channel! I’m going to speak from my experience and tell you that my brother and sister’s addiction had NOTHING to do with how they were raised. My three sisters and I, along with my brother were raised in a very loving, close, two-parent home and there was no dysfunction in our family. Now my brother was the oldest, so I can’t speak to how his addiction started, but I did notice that he seemed really different to me once he got out of the army. My brother joined right after high school and was stationed overseas for a while in Asia, and I honestly think that’s where his drinking problem began. Though I was very young when he came back, I definitely noticed a change. As for my sister, we are only 14 months apart and were extremely close, so I was there from the beginning of her addiction. I know exactly how her addiction started, and again it had nothing to do with her family life! My sister started hanging with some very shady friends who got her started with marijuana and it very quickly progressed to harder street drugs. She left home at a young age, but my parents did everything they could to help her, and I would even follow her around to try to make sure she was safe, but her friends and her addiction were more powerful than our love for her. For YEARS she would go in and out of rehabs, in and out of our lives and there was nothing we could do. So when I see Dr. Phil jumping all over some of these families who have genuinely done everything they know to do and come to him for help and he blames them for their loved one’s addiction, it makes me upset and sad because my family has been there. We’ve watched our family members sink deep into the abyss of addiction and tried everything we could to help them. We watched as our family was torn apart and relationships were destroyed. My parents watched their only son and I watched my brother who I idolized, slowly drink himself to death, and when he finally got sober, watched him die way too young from cirrhosis of the liver at the age of 49. I watched the pain, devastation and stress of my parents as they wondered where their youngest daughter was and if she was okay. We lived for years dreading a late night phone call because we just knew it would be the police calling to tell us that she was dead. Unless you have lived with and loved an addict, you will NEVER understand how this feels. Fortunately for my sister and our family, her story has a happy ending and she has been clean for over 10 years now and we are so very proud of her and the strength it took for her to make it through her addiction alive; her story is truly amazing. 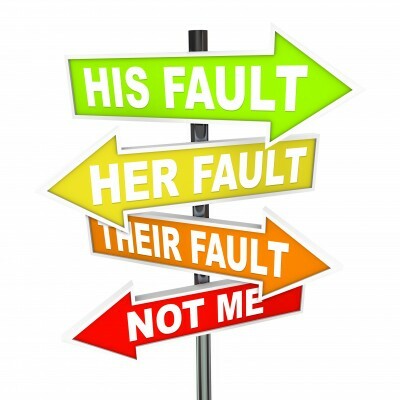 I know that my family is not to blame for the addictions of my brother and sister and while I commend Dr. Phil for his efforts in trying to help addicts, he is doing them no favors when he tries to play the blame game with their families. Nadine Herring is the owner of Virtually Nadine, a virtual assistant company that provides online administrative support to addiction specialists and social service organizations. I specialize in working with this undervalued and overworked field to help them deal with the time consuming process of running an organization.